Choosing a VPN that fits your needs can be difficult which is why TechRadar has highlighted the best VPN services of 2019. 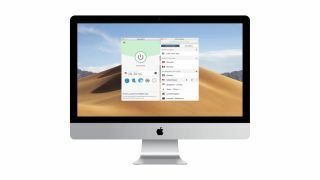 Our current top pick, ExpressVPN recently announced that it has completely redesigned its Mac and Android apps to make them easier to use and more convenient. Both apps have been rebuilt from the ground up with a slick new interface to make them easier to navigate. ExpressVPN has streamlined its apps so that users can quickly see their connection state and server location. Additionally a new in-app shortcut feature has been added which allows you to quickly launch your favourite apps and websites after connecting to ExpressVPN. This saves you the trouble of having to open your browser to navigate to your favourite sites and ensures that your devices and accounts remain protected. ExpressVPN is now faster than ever and connecting to your chosen VPN location is lightning quick so that your ready to surf the web securely in almost no time at all. Staying safe online is becoming increasingly difficult which is why we recommend using a VPN to connect to the internet in public while using unsecured hotspots or hotel Wi-Fi.